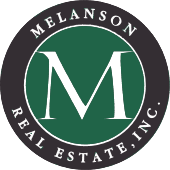 How Mortgage Loans Work | Melanson Real Estate, Inc. Excluding property taxes and insurance, a traditional fixed-rate mortgage payment consist of two parts: (1) interest on the loan and (2) payment towards the principal (unpaid balance of the loan). The amount you pay towards interest and principal varies dramatically over time because mortgage loans work in such a way that the early payments are primarily interest, and the later payments are primarily paid towards the principal. To help calculate monthly payments for loans based on different interest rates, lenders long ago developed what are known as "amortization tables." These tables also make it fairly easy to calculate how much money of each payment is interest, and how much goes towards the principal balance. Let's calculate the first monthly payment of a 30-year, $100,000 mortgage loan at 7.5 percent interest. According to the amortization tables, the monthly payment on this loan is fixed at $699.21. First, calculate the annual interest by multiplying $100,000 x .075 (7.5 %). This equals $7,500.00, then divide by 12 (the number of months in a year) and you get $625. Next, subtract $74.21 (the principal) from the $100,000 of the loan for a new, unpaid, principal balance of $99,925.79. To determine the next month's principal and interest payments, we just repeat the steps. Now multiply the new principal balance (99,925.79) times the interest rate (7.5%) to get an annual interest payment of $7,494.43. Divided by 12, this equals $624.54. So during the second month's payment, $624.54 is interest and $74.67 goes towards the principal. Equity: As you can see from the above example, even though you pay a lot of interest up front, you're also slowly paying down the overall debt. This is known as building equity. Even if you sell a home before the loan is paid in full, you only have to pay off the unpaid principal balance--the difference between the sales price and the unpaid principle is your equity. In order to build equity faster--as well as save money on interest payments--some homeowners choose loans with faster repayment schedules (such as a 15-year loan).